Vinyl ‘1’ Stack allows you to clean your records without getting labels wet! Due to a great amount of requests for a single version of our unique label saving record cleaning device known as Vinyl ‘3’Stack, we have designed a “short” stack disc system for those of you that would prefer to clean only one record at a time! Extra long tapered handle allows ease of handling. Vinyl ‘1’ Stack sits flat so you can set it anywhere without having to worry about it tipping. 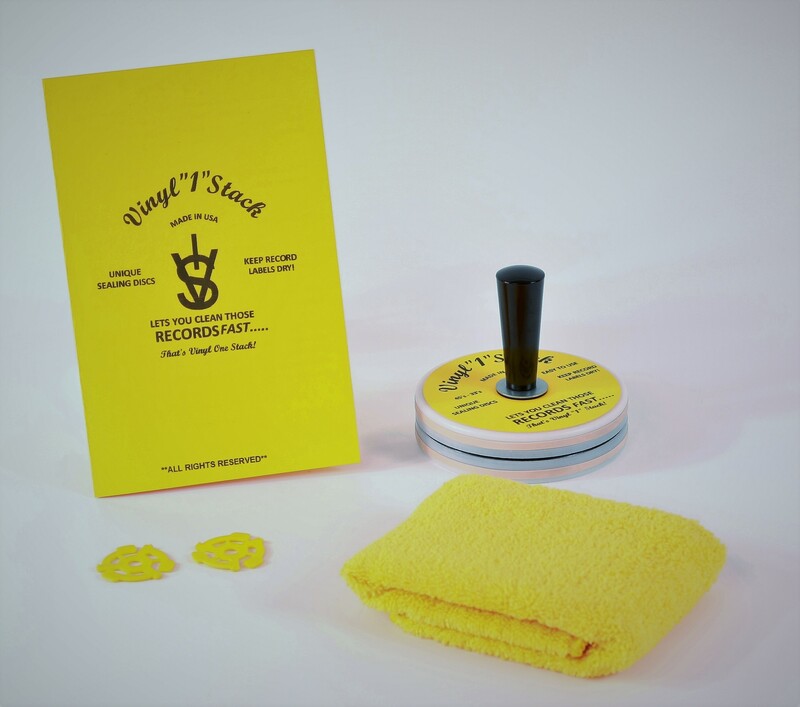 – After cleaning and rinsing your record just a quick shake holding the handle gets rid of excess water on the surface of the record so you can quickly wipe them dry with the included micro-fiber cleaning/drying cloth or allow to air dry.